In the mood for something slightly spicy but light and satisfying? 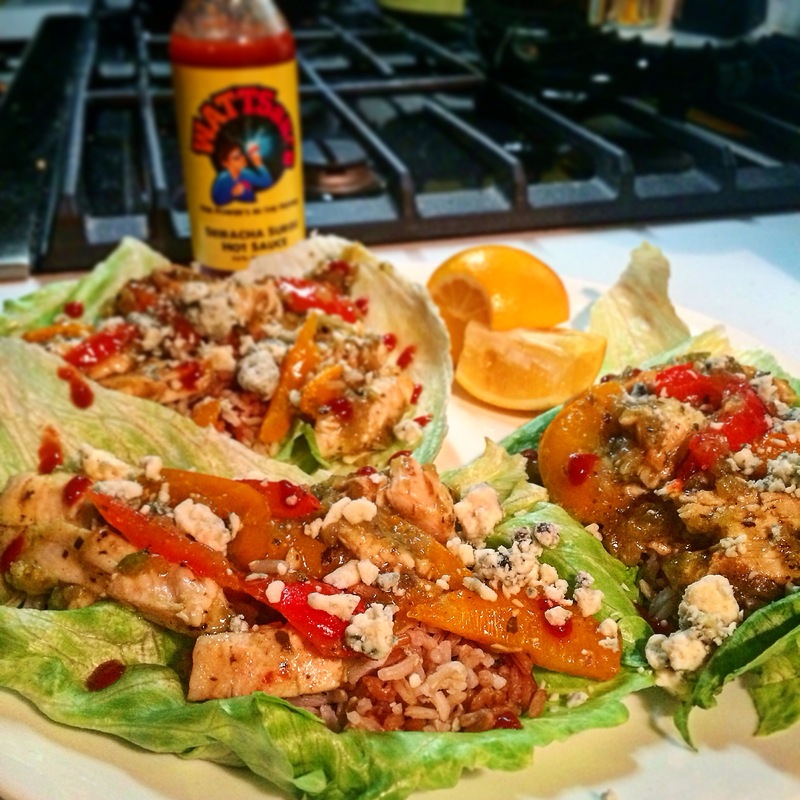 Try these spicy chicken lettuce tacos. Prepare and set aside your lettuce leafs. Make sure they are large enough to hold 2-3 oz of filling. Heat your skillet to medium heat, add olive oil (2 TBLS), your diced chicken (6oz) your julienne Bell Peppers (3oz) and minced garlic (2 teaspoons). Sauté over medium heat. Add 3 oz of Goya Recaito Sauce to your sauté. Cook for 5 more minutes. Once your brown rice and sautéd fillings are cooked, let sit for about 5 minutes. Let them cool down slightly before adding over your chilled lettuce. Spoon 1 oz of brown rice over each leaf of lettuce. Garnish tacos with hot sauce, as much or as little as you like. This recipe used Sriracha Surge WATTSauce. Helpful tip* You’ll have some rice left over in your serving pouch. This can be refrigerated and reused. Keep in the pouch, add a tablespoon of water before reheating in the microwave. Heat for only 50 seconds this time.